“Colon and lung cancer, as well as lymphoma patients, cannot be provided with the necessary therapy now,” said Dr. Mohammed Abu Silmiya, director of Abdulaziz Al-Rantisi Hospital for Children. Israel is ultimately responsible for the Gaza siege, which has extended for more than 11 years. With direct U.S. backing, Israel has launched three major wars on Gaza in the name of fighting terrorism, destroying much of the tiny region’s infrastructure. A hermetic siege has punished ordinary Gazans, who are now lacking everything, including the most basic needs of clean water and electricity. But the war on the Palestinians has been a joint venture right from the start. 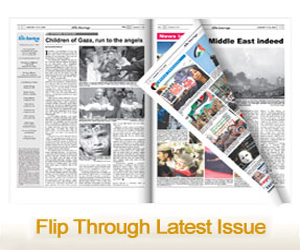 The U.S. has stood by Israel for many years and, as of late, orchestrated the demise of Gaza. While the new administration brazenly defied international law by moving the U.S. Embassy from Tel Aviv to Jerusalem, it also took a series of measures to financially punish international bodies that extended recognition, political support or any sort of aid to Palestinians. In the course of a few months, the U.S. took on the United Nations culture agency, UNESCO, pulled out of the U.N. Human Rights Council and has cut aid to the Palestinian refugee agency, UNRWA. The attack on U.N. organizations was led by the U.S. Ambassador to the U.N., Nikki Haley, who has played a central role in the new, anti-Palestinian discourse. But she is not alone. In an article for CNN, Haley — along with the U.S. ambassador to Israel, David Friedman, Jared Kushner, senior adviser to the president, and Jason Greenblatt, U.S. representative for international negotiations — articulated an American point of view that read like text book Israeli Zionist narrative. They placed all the blame on Palestinians and spared Israel from any wrong-doing. That was on July 23. A day later, Haley, using twisted language, chastised Arabs for failing Palestine and the Palestinians. In an 8-minute address to the U.N., Haley spoke as if a pro-Palestinian activist, agonizing over the losses and suffering of the Palestinian people. While the Arabs are expected — in fact, required — to stand in solidarity with their Palestinian brethren, the primary reason for the subjugation of the Palestinian people is the continued U.S. support for Israel. Since 1999, the U.S. has supported Israel through 10-year long Memorandums of Understanding. According to these arrangements, support for Israel does not require Senate approval and, despite the massive aid, it still does not include missile defense funding. The last U.S. president to sign a decade-long commitment of funding to Israel, which is set to last between 2019-2028, was President Obama, who provided Israel with more money than any other president in U.S. history. As harmful as U.S. military support for Israel and the manipulation of the comparatively limited aid to Palestinians as it has been, U.S. interference in Palestinian political affairs has been equally destructive. The blatant American interference in Palestinian politics is juxtaposed with complete insubordination to the Israeli government, regardless of the fact that Tel Aviv has moved sharply to the right and is increasingly shedding any claims to true democracy. 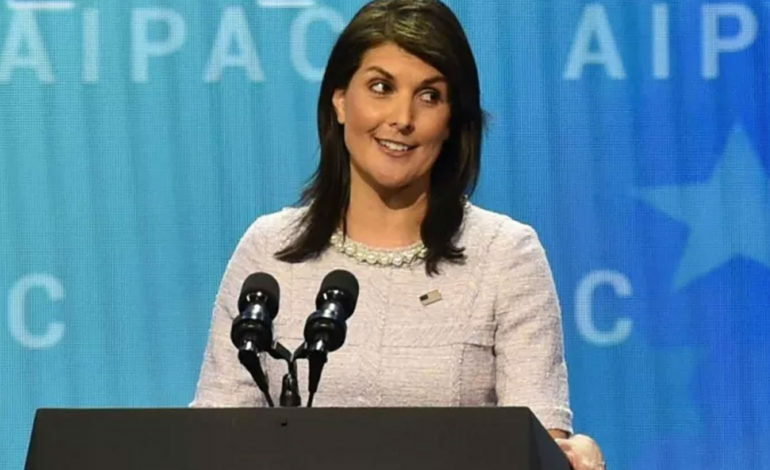 Considering that the U.S. anti-Palestinian and pro-Israel stances have accentuated in recent months, one is hardly moved by Haley’s false sympathy with Gaza and the Palestinians. “No country in this chamber would act with more restraint than Israel has,” she said on May 15, shortly after many U.N. ambassadors stood up for a minute’s silence to mourn 60 Palestinians who were killed while peacefully protesting the siege at the fence separating Gaza from Israel. Haley’s peculiar attacks on unsupportive Arab governments is designed to distract from the U.S.’ own role that has emboldened Israel and held Palestinians prisoners to military occupation and an inhumane siege for far too long.